Falulu is far away in the heart of the PriPara world in Puransu. The sparkle is disappearing from the idol sacred ground PriPara, and Falulu sends an SOS message to Laala and her friends. If the sparkle doesn't return, the PriPara world itself will disappear. 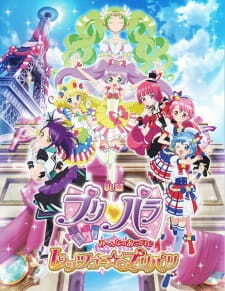 Laala and her friends try to help Falulu, and they work together to save the PriPara world.